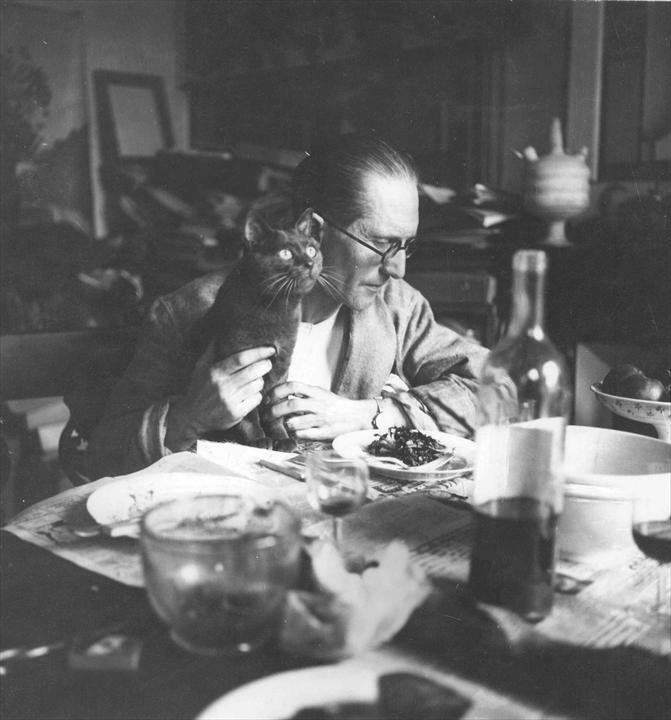 27th August 2015 marks 50 years since the death of Swiss-French architect Le Corbusier (1887-1965). Frequently regarded as the father of modern architecture and a pioneer in his use of reinforced concrete, ‘Corbu’, as he is affectionately referred to by fans and admirers, also made a significant impact on urban planning, furniture design and architectural theory. Though not all critics agreed with his style or theories, his global influence on architecture is undeniable. 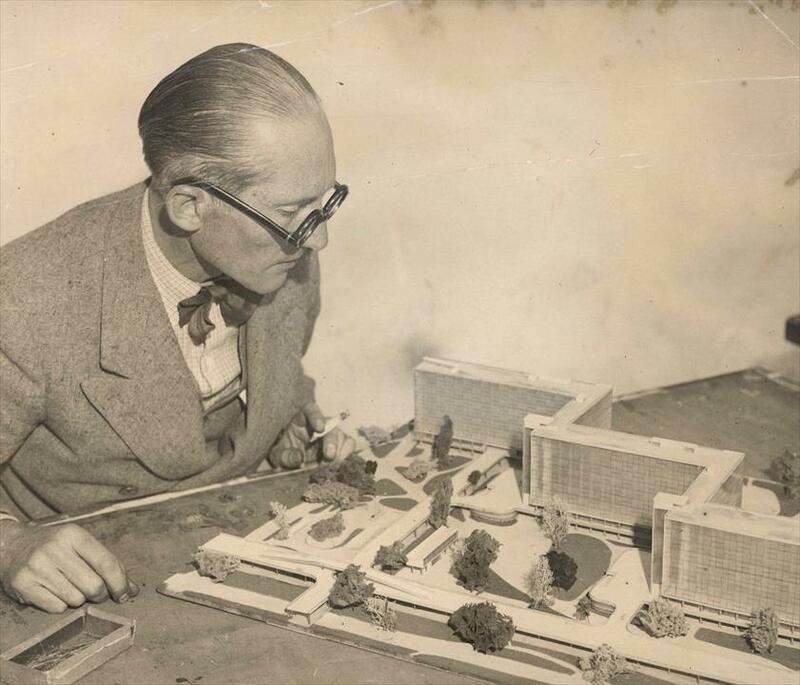 Born in a small Swiss town as Charles-Edouard Jeanneret, the alter ego ‘Le Corbusier’ first rose to prominence at the 1922 Salon d’Automne, where he exhibited plans for a futuristic city inhabited by three million people. From then on, Le Corbusier designed, built and wrote some of western architecture’s most influential buildings and books. His design for the apartment block Unité d’Habitation in Marseille was replicated in Nantes and Berlin, and influenced tower blocks in other cities around the world, including Sheffield, London, Warsaw. His 1923 book, Vers un architecture (originally translated in English as Towards a new architecture in 1927) – which rallied for new technological advancements and function before form – became the manifesto of young, post-War British architects and inspired Brutalist buildings in London such as Robin Hood Gardens and Golden Lane Estate. The Burlington Magazine has sporadically tracked Le Corbusier’s work between the late 1920s and 1970s. Many of these exhibition and book reviews were written by prestigious architects, historians, curators and critics, such as Martin S. Briggs, Reyner Banham, Barry Bergdoll and Colin Amery. Between the late 1920s and 1970s, Le Corbusier was deemed so reputable that the reviewers provided him with little introduction; it was not until 1979 that architectural historian Joseph Rykwert felt the need to mention his birth name. Though he had been active for less than a decade, the international reputation Le Corbusier held was well noted by 1929, where he was described in The Burlington as a “chief exponent” of the “the new “machine” style of architecture”. A year later, Martin S. Briggs stated in his book review that “The name of Le Corbusier is already a household word in France” and that “Belgium has obviously studied Corbusier, as has Germany” (italics mine). Both a practicing architect and an academic specialising in Baroque architecture, Briggs’s knowledge of Corbu reflected the importance The Burlington placed on both industry specialism and high-quality criticism in its early writings. 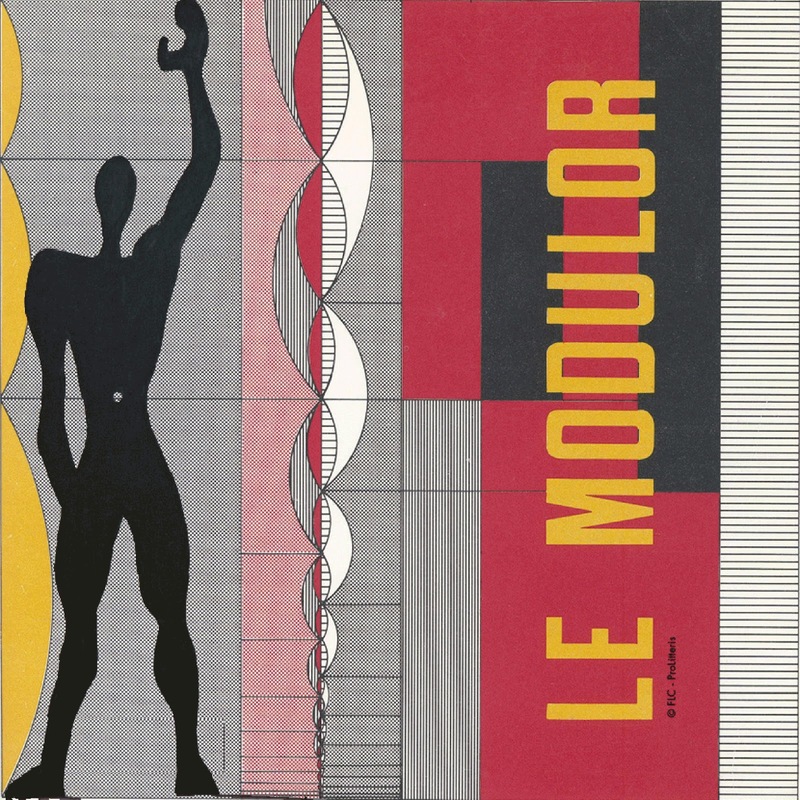 The Burlington was also quick to review the English translations of Le Corbusier’s two books on architecture and human scale: Le Modulor, published in English in 1954, reviewed in 1955 by Reyner Banham and Modulor 2, published 1958, reviewed in spring of 1959 by Herbert Read. Though architectural historian Banham criticised the former book as “a personal fantasy of universal order”, he also believed it was “a book which must be read” and Le Corbusier had “put forward the kind of idea, even if it is not the right idea, that the Modern Movement badly needs in its present crisis of self-examination”. Likewise, art critic Read (who was Editor of the Burlington between 1933-1939) deemed the sequel as “vital” reading in his review. Le Corbusier’s artwork was praised in The Burlington. In 1963 and 1968, two European exhibitions featuring his art were reviewed positively: art correspondent Lucia Moholy stated in the earlier review that “one was, as always, impressed by the dignity of his art”. Burlington Assistant Editor Keith Roberts, similarly, admitted in the later review that “even though they are often derivative, and sometimes too slick, the best of these Le Corbusier prints are extremely winning”. 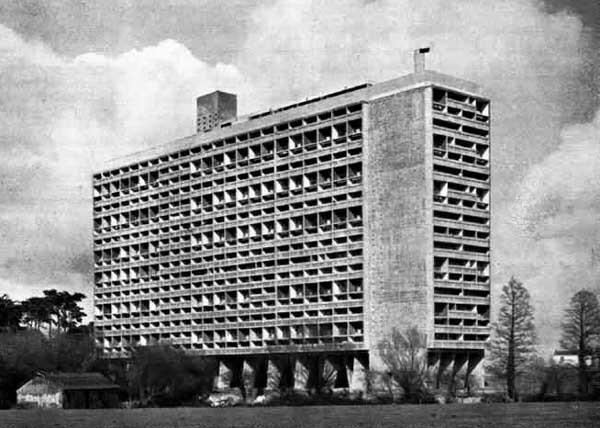 After the 1970s, Le Corbusier’s reputation began to wane as negativity towards the Modernist architecture movement (and specifically, the use of reinforced concrete) began to grow. Noticeably, The Burlington reviews began to provide increasingly longer introductions to his life and work, believing that readers may not be familiar with his work. 1987 saw an international retrospective to mark the centenary of his birth, which travelled through London, Paris and Zurich, but the magazine did not review it – though it was briefly mentioned 16 years later in Barry Bergdoll’s review of another Le Corbusier exhibition in New York. On the one hand, this lack of review could have been due to the difficulty of finding a reviewer, on the other hand it also reflected The Burlington’s increased focus on ‘fine art’ subjects, turning away from the archaeological, ethnographical and architectural subjects which featured in earlier years. More recently in 2009, another major European exhibition on the architect travelled through 5 cities in Germany, Portugal, and England. 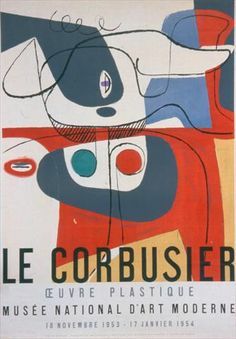 The large scale of this exhibition did not tie in with any anniversary or event, but rather because the curators believed that “[the] new younger audience” were not “fully aware of the extent of Le Corbusier’s artistic influence”. Colin Amery, however, questioned in his review for The Burlington how successful the exhibition actually was in making Le Corbusier’s work accessible to the public. How does Le Corbusier’s popularity fare outside The Burlington Magazine? In 2015 and the run-up to this landmark 50th anniversary, four Parisian galleries have held celebrated exhibitions on Le Corbusier’s work and legacy: Galerie Eric Mouchet and Galerie Zlotowski joined together to host an exhibition on his art; Foundation Le Corbusier explored his influence on later painters and furniture designers; and Centre Pompidou held a record-breaking exhibition on his modular theory, entitled “Mesures de l’homme”. Despite the popularity of the Centre Pompidou exhibition – its most visited architecture exhibition to date, attracting over 260,000 people in the show’s three months run – no mention has been made that it might travel outside Paris. Does this suggest that Le Corbusier’s international influence is on the wane? Perhaps, but the range of subjects covered by these Parisian exhibitions – art, design and theory – also reflect a general shift of interest away from the architect’s buildings and towards his work in other media. Corbu may not have as much influence on architecture as he once did, but his legacy is still highly influential. Current and Forthcoming Exhibitions: Switzerland, reviewed Lucia Moholy (The Burlington Magazine, February 1963). More about Moholy’s writings for the Burlington Magazine here.